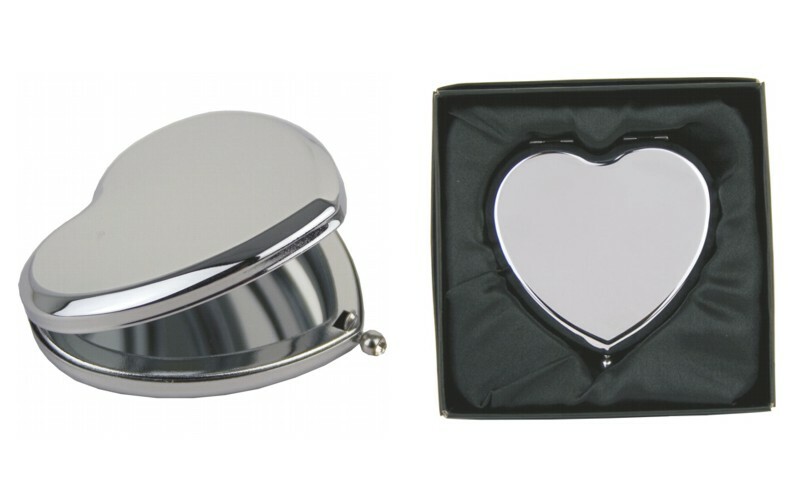 A beautiful engraved heart hand compact mirror. Personalised to your exact requirements. This amazing hand mirror measures 67 x 57mm and comes in a black lined gift box. For an additional charge you can have text added to the reverse of your mirror. Please enter your text in the relevant box. Please detail your requirements by filling out the relevant boxes below.